For centuries hypnotherapy has proved itself as a life transforming technique and in this “Uncompromised Life” review I will be giving you detailed information on this product that is prepared by the world famous hypnotherapist Marisa Peers. 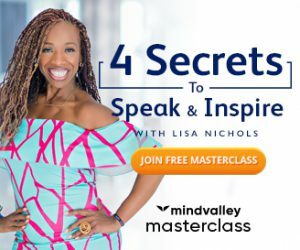 This program has some very powerful and effective tools to offer you using which you will be able to make the necessary alteration in your mindset that is essential for a person who aims to live a successful life. There is a reason why most people fail to achieve their biggest goals even after putting a lot of efforts, there is one very crucial difference that separate the most successful people from the rest of the crowd which Marisa has identified after working with some very famous personalities, sportsmen and celebrities. It is the story of almost every average person, they set goals and start working towards it, but half way down they lose all the enthusiasm and strength to proceed any further. The one root cause behind all this that I have been pointing towards till now is our mind’s resistance to the unfamiliar; we all are programmed to stay away from what is unknown to us and this is why we all fear change, due to this when we try to make some lifestyle changes our thoughts start to work against us. According to Marisa, success is an unfamiliar thing to the minds of people who struggle and this is why her whole program’s main purpose is to make your mind accustomed to success using hypnotherapy because once that happens, it becomes easy for you to achieve all your current goals. Marisa Peer is a hypnotherapist who is most known for having a client list full of big shots, she has worked with some of the world’s most famous people, so it is very obvious that she knows a hell lot of things about what makes a person successful. And she claims to have discovered eight unique mental thought models that separate people who reach the top from the rest of the population, which is why this course is based on developing these thought models. 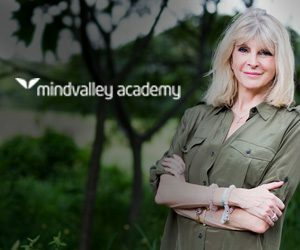 Marisa is an expert hypnotherapist with an experience of more than 25 years; she has authored many books and appeared on various TV shows. She is also very much popular for healing her clients in just one session using her instant transformation hypnotherapy (it’s included in the package). Our subconscious mind is what decides our behavioral patterns and when it is needed that we must use this subconscious mind power to achieve our goals, things don’t usually happen the way we want it to be because our mind holds more control over us than we have over it, but with proper tools we can make it work in our favor. To make that happen this program will cause eight transformations in your mindset, these transformations will result developing eight thought modalities of successful people in you about which we have discussed above. According to Marisa, once these eight transformations happen, you can easily succeed in accomplishing what you desire with much less trouble that you would have faced otherwise. This whole course is a 8-week long training to cause each transformation with her step by step process. The whole program will help you to succeed in all areas of your life, whether let it be your love life, health, financial situation, emotional state, etc. You get to go through a coaching session every week in which you will receive Marisa’s powerful transformational hypnotherapy sessions. Some of us are very successful in some areas of our lives whereas we struggle in some other places, this program will bring total harmony to your overall life. The main material of this product is the weekly modules that are meant to be completed in an eight week period one after another in proper sequence. Each module consists of a introductory audio, the main coaching session recording, exercise books and transcripts, and Q&A sessions. First part works on changing your mind programming so that you could both achieve what you desire and keep it; this part consists of 3 modules. Second part is also 3 weeks long which again consist 3 modules, this is all about improving your career success and financial situation. Third part consists 2 modules for final two week that focuses to make you an emotionally healthy person, these modules will fortify your self-belief. They may add more stuff or change bonus materials with time, check the product website to know what they are offering at present. Undoubtedly, there is no one better than Marisa when it comes to building winner’s mindset using hypnotherapy because she really masters this art. Most of the program that I have used usually needs a lot of time to become fruitful and a person needs to make use of those techniques persistently in order to see some huge results, which of course this program also requires if you want to make an everlasting change. But the 8-weeks will cause some real big changes in you, the transformational hypnotherapy audios you will be getting in this course will impact you immediately, so unlike the other programs you don’t have to wait for a long time to know if it is working or not while using this product. 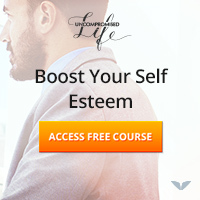 I would strongly recommend this course to you if you are trying to make some real big positive changes in your life. To know more, you can visit the product website here. I hope this review was useful to you. You can also try the visualization and meditation technique for altering the subconscious beliefs that I use.